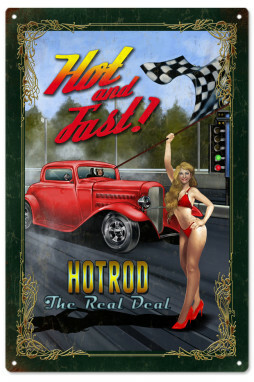 Surf’s Up Hawaii Classic Hot Rod Garage Art Sign. 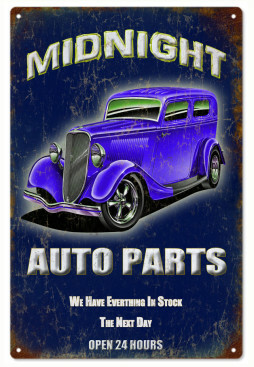 16″x24″ | Reproduction Vintage Signs:. 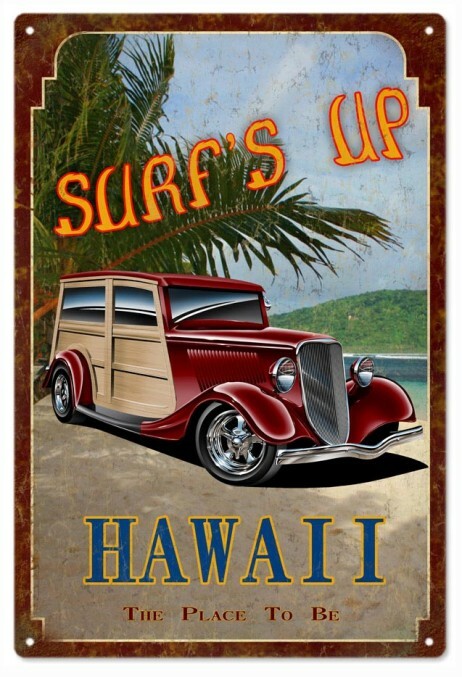 This is a Reproduction Surf’s Up Hawaii Hot Rod Aluminum Sign 16″x24″ .040 Aluminum. This Sign Has Eyelets. Made in The USA.